Choreography by Alicia Alonso, on the original of Jean Coralli and Jules Perrot. Script by Theophile Gautier, Vernoy de Saint-Georges and Jean Coralli, inspired in a popular Germanic legend collected by Heinrich Heine. Music of Adolf Adam. Designs by Salvador Fernández. I have tried to provide an almost full view of the ballet. 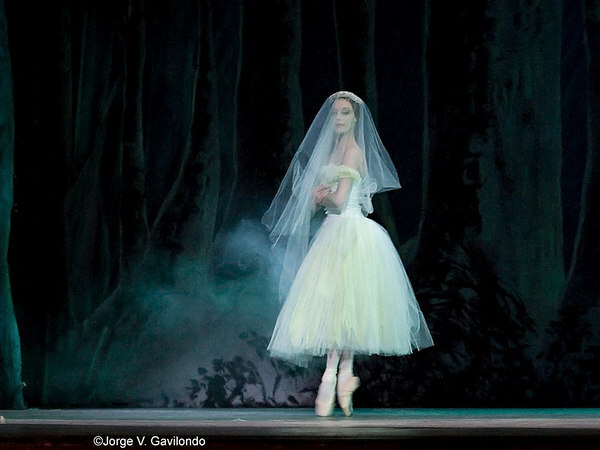 Interpreted this time by Sadaise Arencibia (Cuban National Ballet - Giselle), José Manuel Carreño (American Ballet Theatre and Cuban National Ballet - Prince Albrecht), Victor Gilí (Cuban National Ballet - Hilarion), and Yolanda Correa (Cuban National Ballet - Myrtha Queen of the Wilis).